Looking for the top Alabama haunted houses? Over the past summer, we hosted our second annual nation-wide poll, where haunted house-goers could vote for their favorite “Must-See” haunted attractions in Alabama. We’ve tallied the results and posted them here so you can find the biggest, best and scariest haunted houses in the State! Don’t forget to Like and Follow our Facebook page and sign up for our Haunt Advisor Newsletter to stay updated with your favorite local haunted houses. The history of Sloss Fright Furnace is surely one of the reasons it’s listed as one of the top places in the world for paranormal activity. 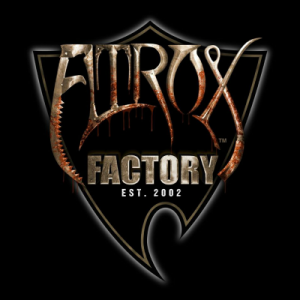 Each Halloween season, this decommissioned factory comes to life and greets all who enter with a very REAL experience of their own! Warehouse 31 takes place in a building that’s nearly 40,000 square feet in size! Coupled with one of the largest Facebook fan bases we’ve seen, we have no doubt that this multi-haunt attraction should be on your “top Alabama haunted houses to visit” list. When a haunt has over 20,000 Facebook fans, it’s no wonder they’ve made our top Alabama haunted houses list! Serving Northern Alabama, Misssissippi, Tennessee and regions beyond, Arx Mortis draws haunt-goers from hundreds of miles away each year. In order to fight the long line waits, they use a ticketing system that lets you wander around instead. Thus, there’s no fear of losing your spot in line! Meanwhile, their incredible sets and enthusiastic cast should plant them firmly on anyone’s “Must-See” haunts list! Popes Haunted Farm may be off the beaten path, but they pack a punch with 4 separate attractions! With a Haunted Hayride, Forest, Barn, and Zombie Paintball Safari, there are lots of ways to get your scare on here. Popes Haunted Farm labels their events as “high scare and intense,” and, apparently, their fans agree! Nightmare at 3008 is at a new location this year, “…where nightmares become reality.” In addition, they also offer a new attraction that they’re calling The Underground, and an escape room for those seeking a race against the clock. If you’re on the North side of Birmingham this haunt season, then be sure to stop in for a scare! With a name that’s almost as entertaining as they are, Hollis Haunted Chicken House is quite a unique attraction. They offer a haunted hayride, a quarter-mile walking trail, and an escape room… all at their single location. Consequently, we’ll let you guess what kinds of crazy critters are pecking around at this place! “Don’t be a chicken… Come and get the ‘cluck’ scared out of you” with Chicken Dan at one of the top Alabama haunted houses this year! 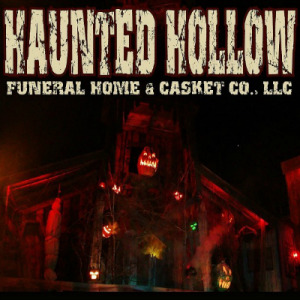 Haunted Hollow AL offers 3 haunts at their single location, which are Finn’s Funeral Home & Casket Company, The Village of the Dead, and Spinal Tap. With this in mind, this haunt is a solid choice for scare seekers in Eastern Alabama and Western Georgia alike. If you’re using a GPS to get there, then be sure to use the 1000 Ben Brown Road address! haunted houses in Alabama, then it should be. AgriPhobia is presented by the Blount-Oneonta Chamber of Commerce. 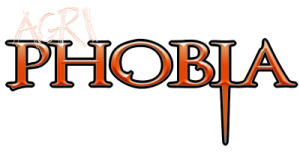 They are “an intense, self-guided journey through your darkest fears. Not for the young or faint-of-heart, you will be fully immersed in the detailed settings, gruesome makeup, horrifying scenes and over the top scares.” If you find yourself in North-Central Alabama this haunt season, then be sure to pay them a visit. 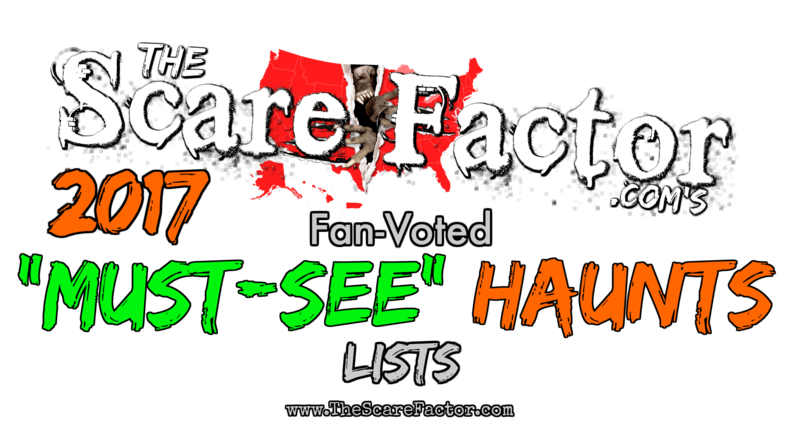 Congratulations to Insanitarium for leading our Alabama Fan-Voted “Must-See” Haunts voting poll!